It's been ages since I sat down and watched a Predator movie all the way through. That's a situation I should seriously rectify, because at this point I'm starting to feel like my impression of the franchise has been distorted over time. The first film is fantastic, but I feel like everything after that has been an exercise in diminishing returns. Sure the creature design is iconic and the basic premise - a lone alien arrives in order to hunt down humans like some kind of intergalactic safari - is brilliantly simple. But like so many B-franchises, the concept seems to have creatively run its course over the course of five entries despite the inclusion of Xenomorphs into their overall mythology. So color me a little surprised at the announcement that none other than Shane Black has stepped up to pump life back into the series. Following the success of Iron Man 3, Black has been developing a handful of different projects including a potential Doc Savage movie, so the fact that he's suddenly willing to jump into bed with the Predator (let that image roll around in your mind for a few minutes) implies that he must have a pretty strong notion of how to approach the character. It's a little unclear whether this would be a reboot or a continuation, but since there isn't a whole lot of continuity between the films that point feels almost inconsequential. (UPDATE: Black told the folks at Collider yesterday that despite the initial reporting, the concept is not a reboot but "an inventive sequel.") The idea of Black, who actually played one of the commandos in the first filim, returning to this franchise in any capacity is already intriguing. What's more exciting is that while Black will be directing and writing the treatment, the actual scripting will be done by none other than Fred Dekker, who collaborated with Black way back when on the classic monster team-up adventure The Monster Squad. I honestly wonder what Black and Dekker (zing!) have up their sleeves story wise. We've seen jungle Predators, arctic Predators, urban Predators...just seeing the same premise in a different location feels played out at this point. We've seen them take on a more menacing threat in the form of Giger's Aliens, so what else is left? I feel like it's got to be a pretty radical departure. Maybe some kind of role reversal, where some lone crazed human travels to the Predator homeworld and hunts them instead. Or maybe a Predator who teams up with a human to defend mankind? 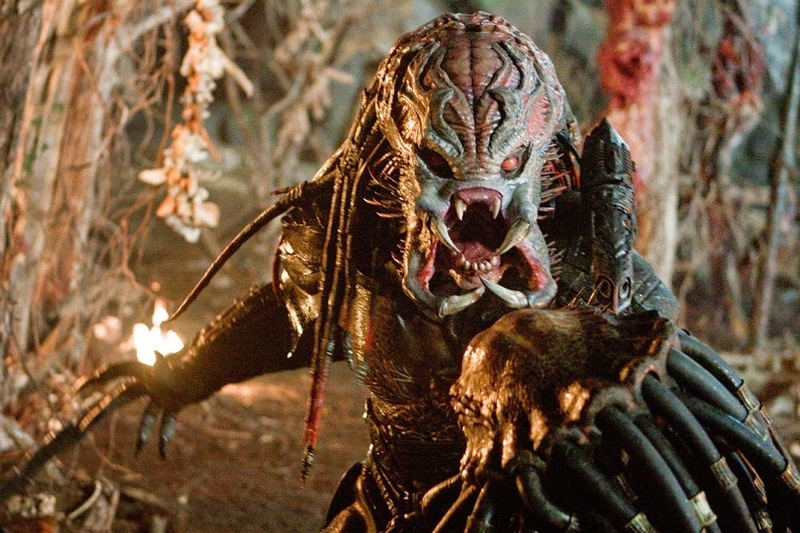 We sort of saw that in AvP, but maybe this time the Predator can actually speak English? A Predator/human buddy cop movie! Call me, Hollywood. I've got all sorts of good ideas.